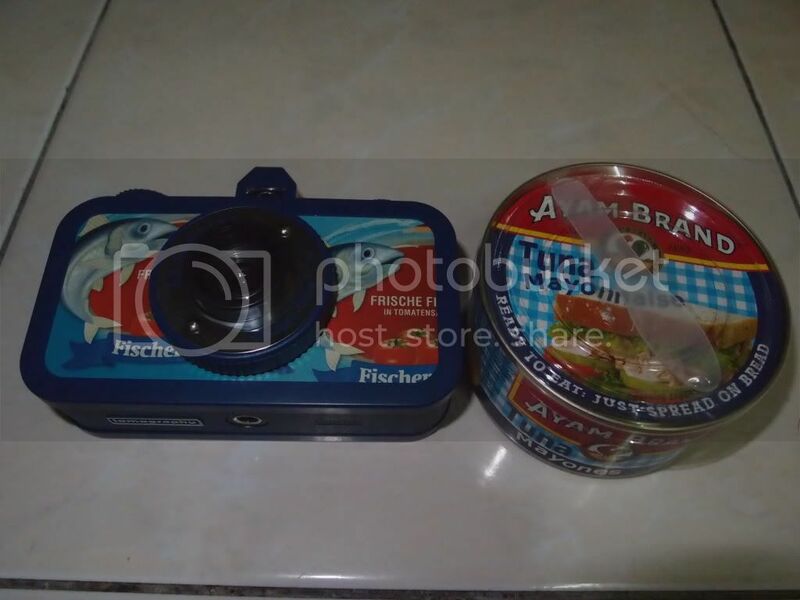 Less than a week ago, I wan tempted to get Fischers Fritze ( a entry level La Sardina Camera)which include Fritz the Blitz Flash by using my soon to be expired piggies point (a reward point based system at lomography) as discount. 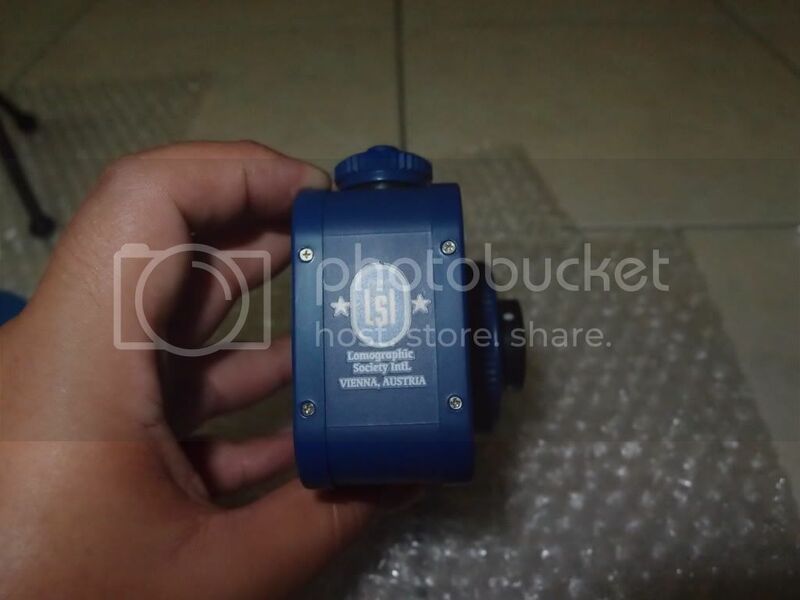 But I hesitated and I delay my purchase till very last hour (a handy bolehland trait). 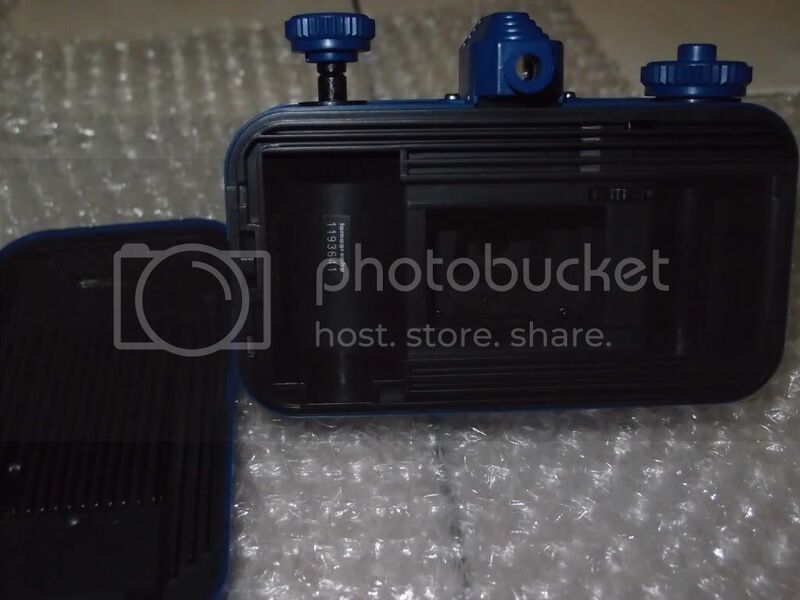 Not only i am able to slash the price down by half ( US$ 128+ to US$ 50+) .I managed get a cable release , small flex tripod and 3 pieces of Lomography CN 400 ASA 35mm film to complement my purchase . 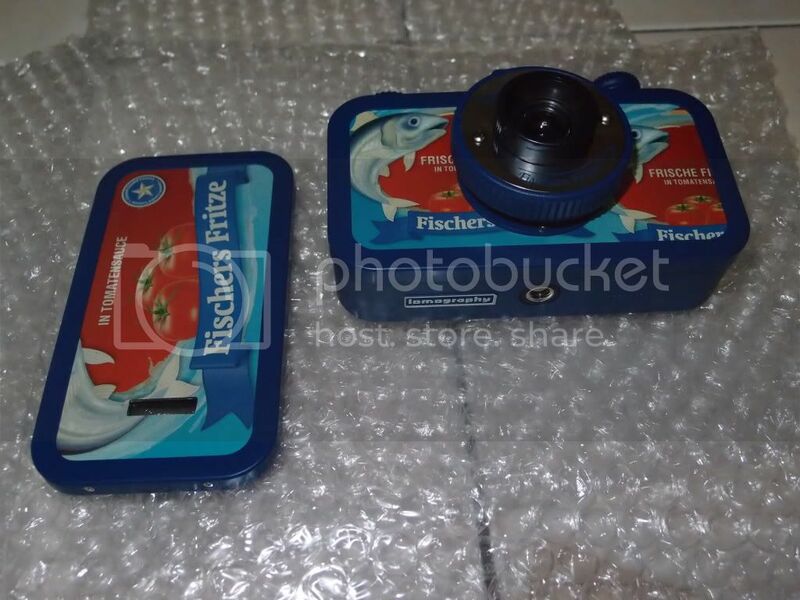 At 1st glance,Fischers Fritze is similar to real life sardin can,light and comes with easy to use feature like Wide Lens Angle,Rewind Dial,2 easy to focus features,blub,neutral and MX setting,auto film counting on the top. 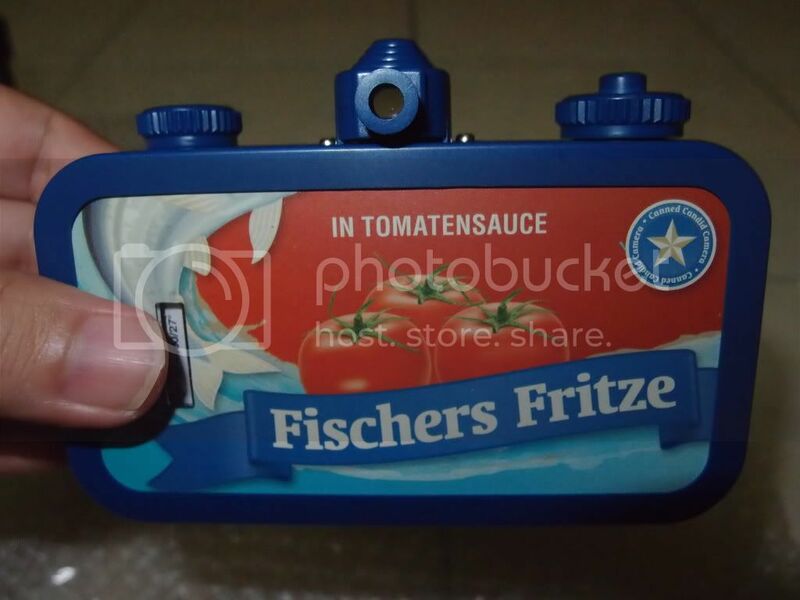 It also comes with Shutter Locks which the Lens collapsed thus avoid shooting blank picture cause by lens cover.Inserting the 35 mm film to the Fischers Fritze was a breeze indeed thanks to handy tutorial at Youtube by Lomography society . 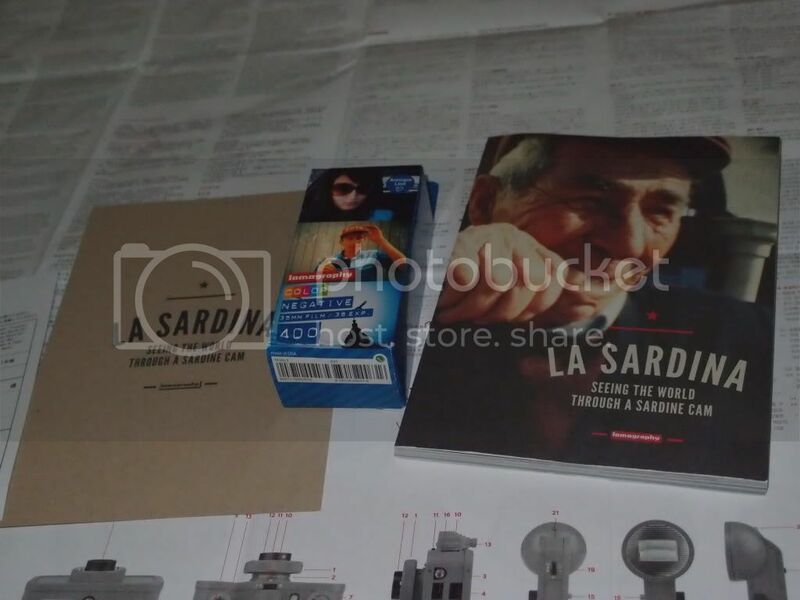 Plus it comes with handy colorful guide book containing lotsa useful tips. 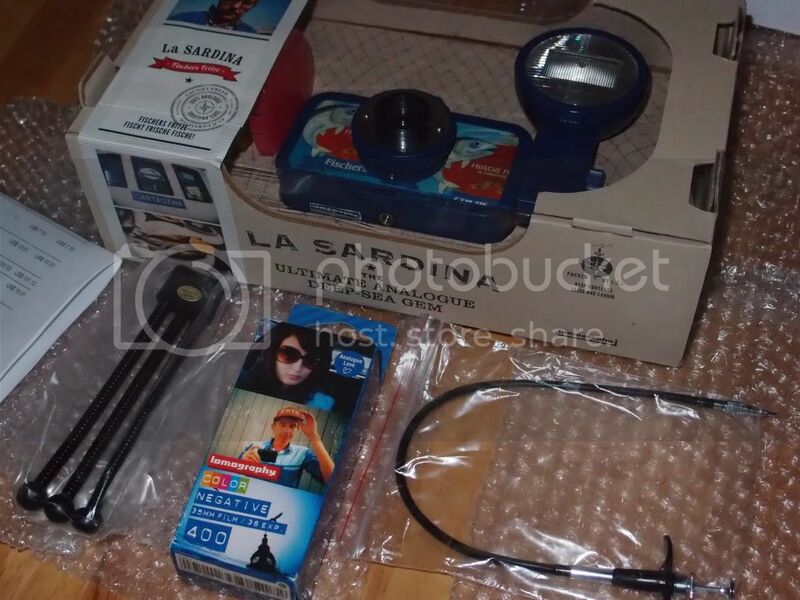 Most importantly , it comes with Unique La Sardina Micro Contact (for Fritz the Blitz flash only)the most powerful flash to for dark or indoor photo session or perhaps to create MX picture around with four colorful flash cover.The cable release and small tripod (can be used with any tripod mount camera) will be useful for capturing self portrait picture. 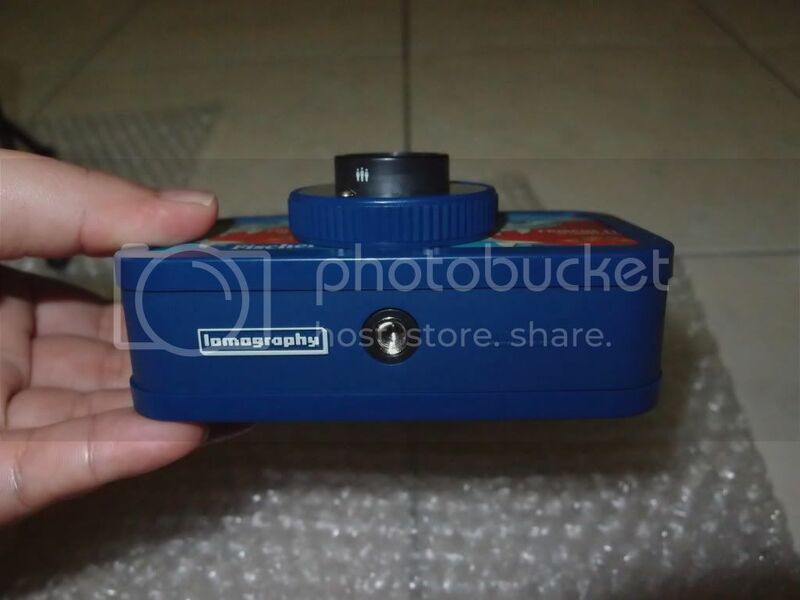 With 3 pieces of 35 mm camera film, I am more than certain I will have lotsa lomography adventure and fun soon. 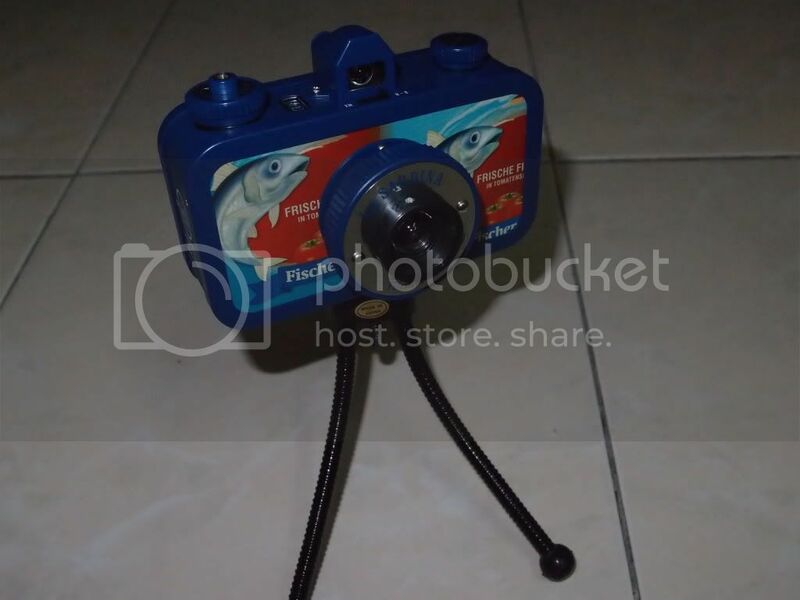 P/S: Write articles and review the camera to earn piggies! 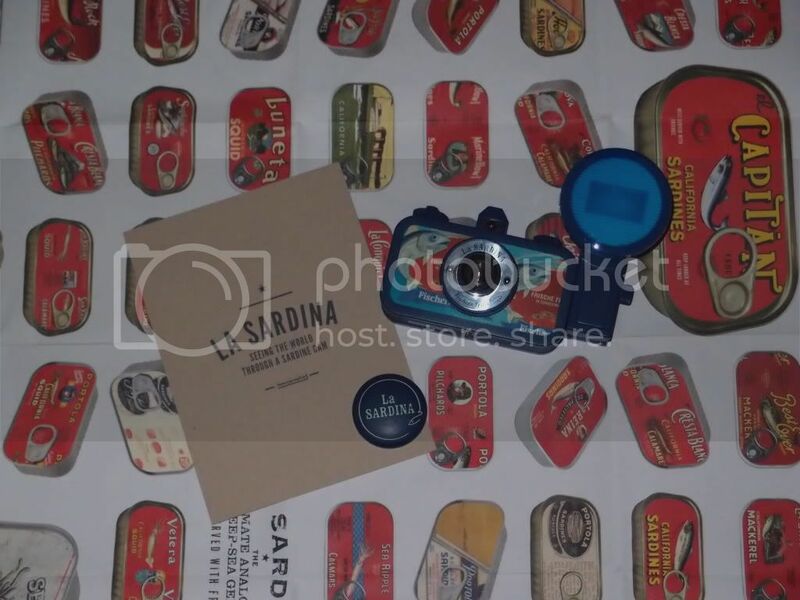 very interesting with the design of sardine packaging hehe! 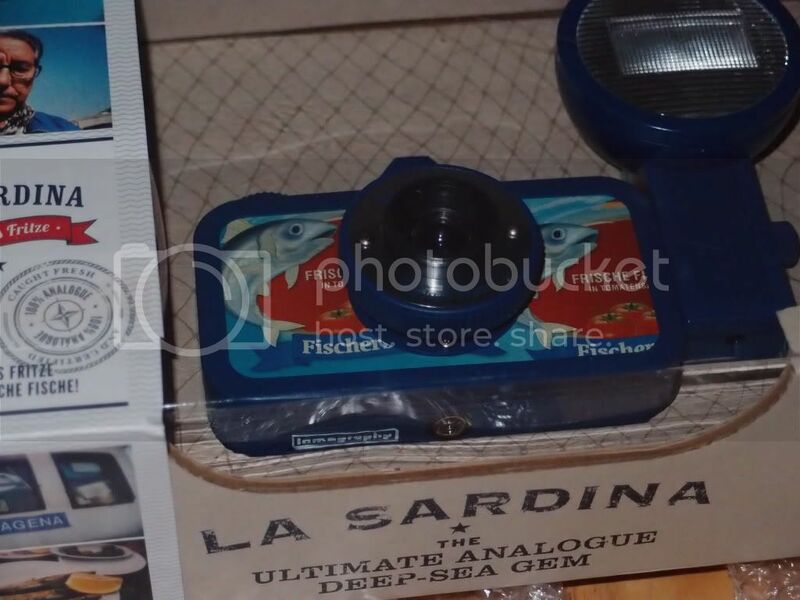 Caroline: Yes it a cute camera !